I'm Aseya :) I'm from Dubai and I have a beauty blog called Pretty in the Desert. Ray has graciously allowed me to guest post while she's away on holiday. There are so many awesome new things that I am lusting after for fall, it's almost making my head spin. I thought I'd share some, so here we go! This set contains everything you need to create a great fall look, all in a super cute makeup bag. I love how the shadows and lipsticks can take you from day to night. 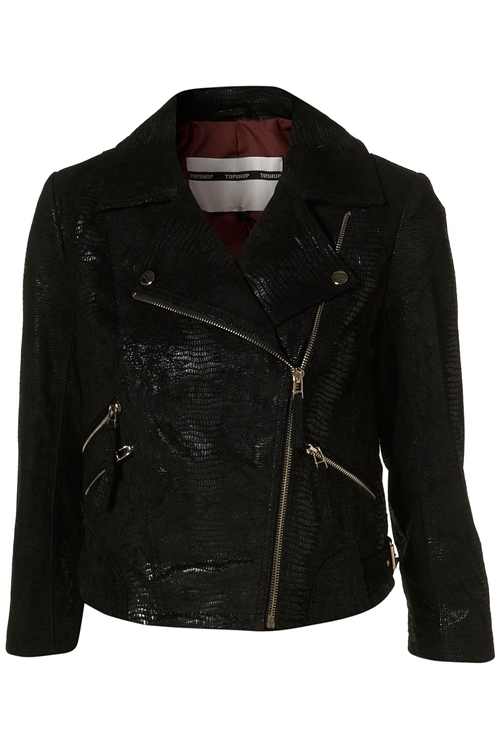 I love this jacket from Topshop. The snakeskin detail adds something unexpected and the cropped length means that I can wear it during a Dubai winter without sweating to death. As Rachel Zoe would say, this. Dress. Is. Ba-nanas. I love it! It's literally the perfect party dress. I'm going to have to hunt down a knock off of this because I love it so much! I'm so glad that wedge booties are still in, because I didn't get to try them out last winter. These Prada ones are gorgeous and would definitely fit the bill! 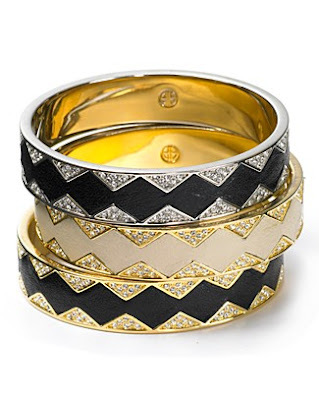 I've been lusting after the HOH bangles for a while now. They're perfect, a little bit rock n roll and a whole lot of class. They'd be great to wear with almost anything and can be stacked for more drama. Of course, no Lust List would be complete without a gorgeous bag! 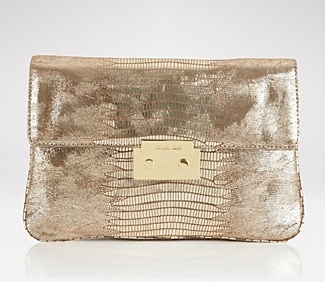 This metallic clutch works with every thing. It's a great size and it even has a shoulder chain so you can let it hang when you're dancing! It's so pretty! Well, those are (most of) the things that I am lusting after this season! What are you lusting after right now?